Explore the ways in Dong Van stone plateau. Running on zig-zag high street in Ha Giang. The life style of Mong people. A moderately distance for the first day of motorcycle tour. The group will run on Highway 3 to Thai Nguyen and Tuyen Quang province. Next is going on dirt roads to get to Vu Linh village. 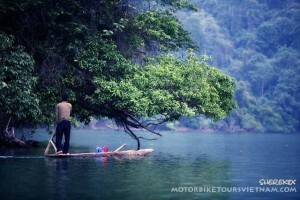 Here you will stay in homestay view to Thac Ba lake, enjoy the fresh air of lake, a very interesting scene. Overnight in Vu Linh, enjoy the tradditional dishes of the Dao people. Depart time around 8:30am. 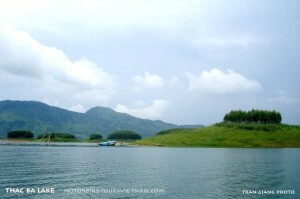 We will drive along the Thac Ba lake, admire the beautiful scenery of the lake. 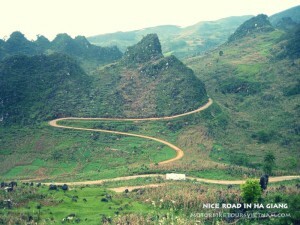 Group will run on the Highway 2 to Ha Giang city. 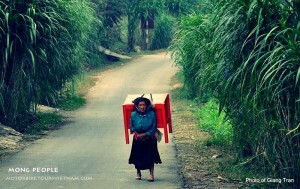 Ha Giang is a province bordering with China, the mainly ethnic groups living here is Mong and Dao people. Overnight in Ha Giang. After getting the permit to ride in border areas (of Ha Giang’s Immigration Police). we continue our journey to Dong Van Plateau. You will drive through the high-pass and long-pass to valleys of Dong Van. To understand the unique culture of Mong people, we are going to visit some Mong’s family, looking and talki with them. The Mong people, who are originating from southern China, migrated to Vietnam from the 16th century, they often focus settled in the high mountainous area. 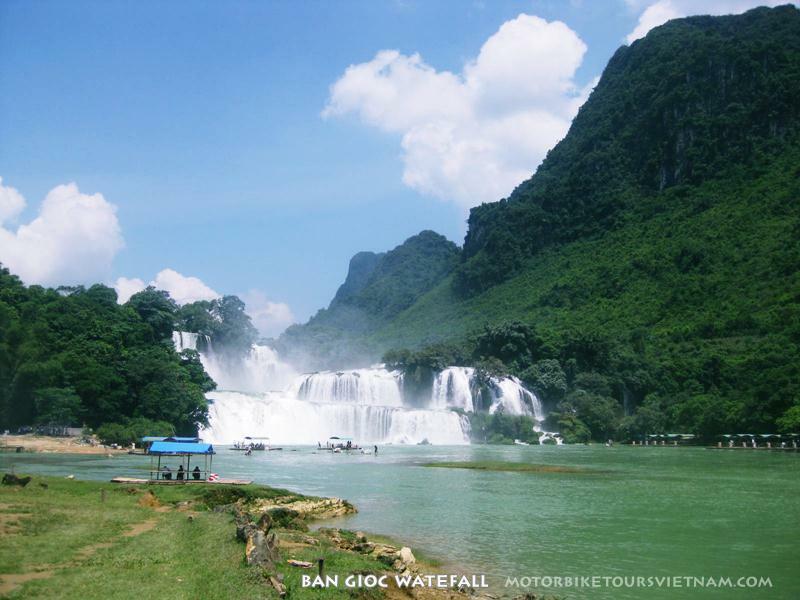 After visiting Dong Van town, group continued goes to the Ma Pi Leng Pass, a beautiful and majestic passes in Vietnam. From the top of the pass you can see the Nho Que River is winding foothills. Sleeping in Meo Vac town. A beautiful way when you are going through the high mountains, you will be lost in the jungles of Southeast Asia, the Phia Oac nature reserve. A forest with towering pine trees, bamboo forests spread across the mountain. Overnight in Tay People’s village. Easy day come back to Hanoi, gentle motor controller runs on the slope down to Hanoi. Back to Hanoi around 18:00 pm. End of trip.